Professor Lal, being a Sehajdhari Sikh, is known as Bhai Harbans Lal. Since his school days, he has been active in promotion of Sikh interests. In 1954, he was elected as the President of the All India Sikh Students Federation. He was recognized by robes of honor by the Shiromani Gurdwara Prabhandhak Committee (SGPC), Delhi Gurdwara Management Committee, the Chief Khalsa Diwan, the Sikh Educational Conference, Sikh Dharma International and the Sikh Social and Educational Society. In 1995, Guru Nanak Dev University awarded him the Degree of Doctor of Literature (honoris causa) in recognition of his contributions in Sikh Studies. On April 14, 1999, the Anandpur Sahib Foundation awarded him the Order of Nishan-e-Khalsa for his superb accomplishments in promoting the glory and pride of the Khalsa Panth. 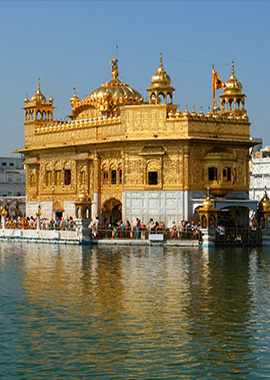 Presently, Dr. Lal’s interests lie in promoting Sikh Studies in North America. His writings on Sikh subjects have appeared in many books and journals such as Sikh Sansar, Sikh Review, Sikh Courier International, Spokesman, Sikh Marg, Studies in Sikhism and Comparative Religion, From Both Sides of the Ocean, Miri Piri, Sach Khand Patraka, Sikh Virsa, Atam Science, Understanding Sikhism: the Research Journal, International Journal of Sikh Spiritualism, Amrit Kirtan, Sachkhand Patrika, the Tribune, Times of India, Dallas Morning News, and Gurbani Is Jag Meh Chanan. He contributes frequent columns in the religious section of the Dallas Morning News and serves on the editorial boards of the Sikh Review, International Journal of Sikh Spiritualism, and Understanding Sikhism: the Research Journal. Is Guru Nanak’s Parkash Day Different from Guru Nanak’s Birth Day? Yes, It Is.